Nine hours. 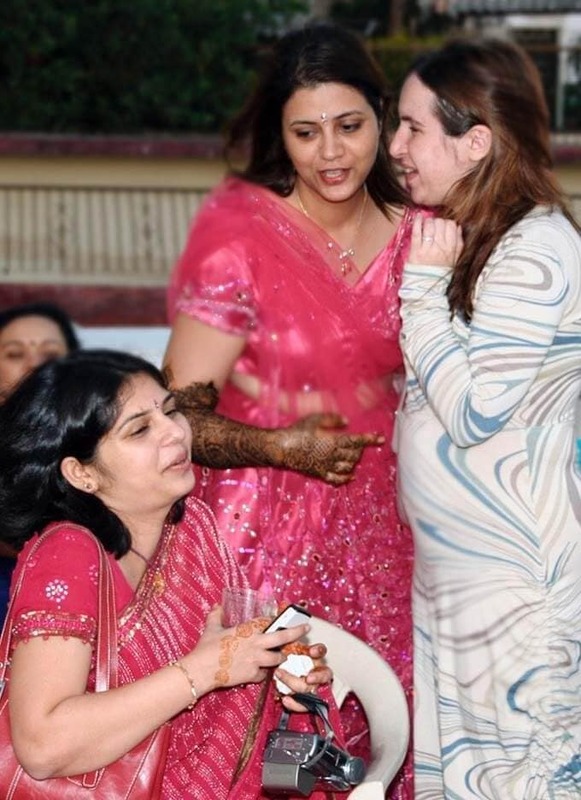 That’s how long it took to apply the mehndi at the Indian part of my wedding, exactly 8 years back. I still remember waking up at 6 in the morning and sitting still for 9 full hours, while 4 women worked simultaneously on my hands and legs (so, that’s 36 woman-hours in total), sketching intricate designs from the tips of my fingers to the shoulders, and from the tips of my toes to the knees – both sides! And then waiting another 4 hours for it to dry, followed by the mandatory lemon-and-sugar rinse and leaving it overnight to assure a rich and dark colour. I think that’s when it finally dawned that I was about to get married – me, the girl who saw India as a cultural fantasy and had openly declared marriage to be the least sane of all institutions know to mankind. Well, love and all that… !!!! Anyway, coming back to the mehndi (or henna), it’s so crucial to an Indian wedding that the two have become synonymous with one another. 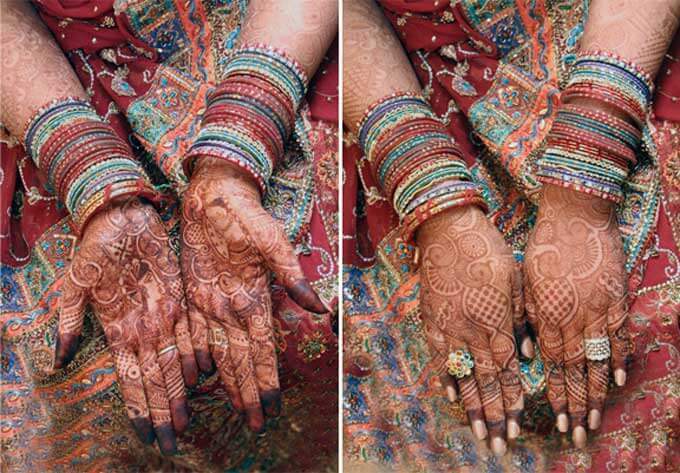 Mehndi brings luck to the new couple, while its colour is supposed to indicate the strength of the husband’s love: the deeper the hue, the stronger the love! 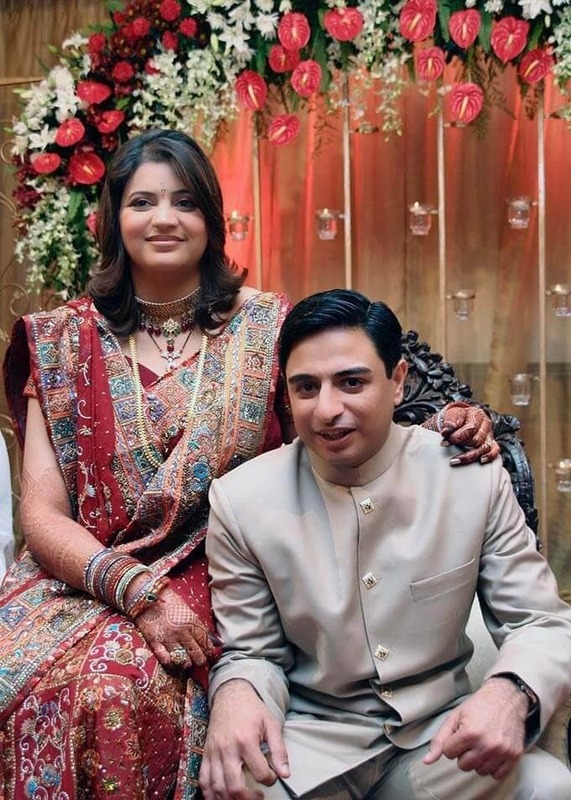 And, most importantly, the bride is not allowed to work in her husband’s home until her mehndi fades completely (thereby making up for those 9 hours!). And it’s not just about the mehndi, either. Today, it’s been 8 years since I got married and in true beauty junkie fashion, what I remember most about the wedding are those long, lush and totally indulgent hair and skincare rituals that I got to enjoy as a bride in a culture that elevates its beauty heritage to a ceremonial pedestal. My mother is still convinced that the only reason I traded my raggedy skinnies for a traditional Rajasthani lehenga (that weighed 41 pounds!) was to enjoy all the beauty goodies that hold ritualistic centre stage in an Indian wedding. She may well be right. Thankfully, though, you don’t need to be a bride to enjoy some of these timeless beauty recipes that make you look good and feel good… the perfect combination, where I am concerned! Rose water is purifying, while almonds and saffron represent fertility. But that’s just the ritualistic part. The reason Indian women have revered this scrub since the times of Ayurveda is because almonds contain essential fatty acids for smooth and super-supple skin. They are also packed with antioxidants, including vitamin E, to neutralise environmental toxins and keep skin healthy. Rose water and saffron, in the meantime, are packed with skin soothing and complexion perfecting ingredients, like Vitamin C and polyphenols, which can erase fine lines, boost collagen, clear blocked pores, soften the complexion and hydrate cell tissues. Sandalwood has potent antiseptic, astringent, anti-inflammatory and disinfectant properties that make it a treat for flawlessly glow-y complexions. It’s also superb at reducing skin scarring of all kinds. Vetiver is antiseptic and very effective in treating chronic acne. Added bonus: this paste smells divine! Masoor dal (whole brown lentils) is superb for lightening acne scars and hyper pigmentation, tightening the pores, nourishing the skin and bringing about a natural glow. Ghee (clarified butter) is an Ayurvedic staple used to deep cleanse and moisturise, while being one of nature’s most potent skin healers. In fact, Ayurveda calls upon ghee for everything from healing burns and tackling bruises or rashes to closing the skin post-surgery. Used by women all over India, this gently body scrub literally shucks the dead cells and buffs skin to silky smoothness. How? Milk contains hefty amounts of lactic acid to loosen dead cells and grime; chickpea flour sloughs off dead skin; while turmeric is a natural cleanser and disinfectant. This traditional body mask (called an ubtan) is applied to both bride and groom for seven days before the wedding. It’s messy but superb for making skin smooth, flawless and glow-y. Turmeric cleanses, disinfects and glosses; sandalwood is antiseptic, astringent and anti-inflammatory; gur (jaggery) is packed with glycolic acid for exfoliation and humectants to keep everything moisturised; yogurt’s lactic acid helps slough off dead skin cells; chickpea flour busts grime and toxins; and ghee deep cleanses, moisturise and heals. It’s a well accepted fact that there couldn’t be anything better for your strands than coconut oil (read more about the beauty benefits of coconut oil right here). Add in amla (Indian gooseberry), one of the highest natural sources of vitamin C and powerful antioxidants that can penetrate the scalp to strengthen hair follicles right at their roots, and you have a potent potion to stop hair loss and promote the growth of stronger, healthier strands. Every ingredient in this fragrant hair oil is chosen because of its blood-circulation-boosting and hair-root-nourishing properties. Try it once a week and you will see your strands getting thicker, smoother, stronger and way glossier than ever before. What’s a favourite memory from your wedding? Let’s share! Nice Bolg, such a wonderful post Indian Beauty Recipes.